Don’t Squish Me, I’m Organic is a hand picked selection of comics from IZSzak Smells, forged into a real life, edible* book. 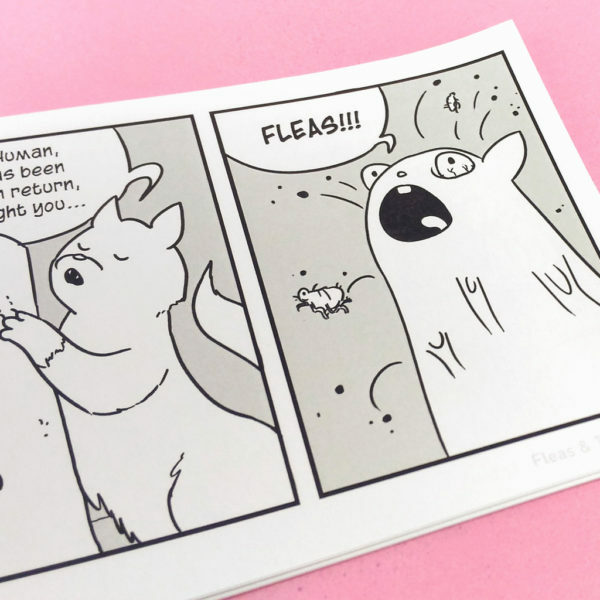 20 darkly bizarre strips are all collected together in a neat little booklet that you can put on your coffee table to forestall awkward silences when your friends or family are over. Actually, there might still be some awkward silences if they’re particularly uptight, but at least you’ll be sniggering quietly to yourself at their expressions of constipated outrage. And if you’re one of those people who can’t pass up a bargain (Yes, you – I saw that junkie twitch at the mention of the B-word) you can pick up IZS 1 & 2 for just a few dollars more. Twice the chortles, twice the outrage! *As much as a book can be edible.